Every day entrepreneurs from around the world ask me “When will I start to see results from recruiting online?” or “How do I get more Leads?”. I can say from experience the number one issue that they (and me too) face is that they’ve overwhelmed themselves. I hope to shed some light on how you can be more effective online. In the following short article, I will let you know what you NEED to know about generating more leads so you can start to see profits. These 5 key areas are straight to the point and easy to understand. 1. Exposure: The more you’re out there, the easier you are to find. Market yourself, network, prospect, and drive traffic to your website and/or landing pages. The way you do that is by branding yourself and by continually providing value and content. You may be tempted to ask yourself “how do I get leads?” but this comes from an area of frustration and simply not knowing. You need to ask yourself “which strategy should I concentrate on?” Now you’re coming from a better place, a place where you have confidence and power. 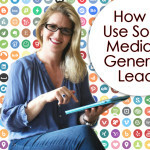 When you regularly provide content AND regularly connect with people, the leads will come to you much more naturally. Choose a strategy and get good at it. Then take on another one. For example, the next two weeks you connect for 20 minutes every day with high caliber people on Facebook. Then after that becomes a habit, start making a training video every week or creating a blog post every week. I know so many people who have YouTube channels but they never add to them or they have blog sites but they don’t write blogs. It is easy to be in overwhelm mode, but that is our choice. A mentor said to me years ago – just DO SOMETHING. When that something becomes a great habit, things start to shift! 2. Relationships: If people know you and like you, they’ll trust you. If they trust you, they’ll want to do business with you. Network Marketing is a business built on relationships and the internet is a great way to develop those relationships. There are still people in the industry who don’t believe that online is a great way to go. I still absolutely believe in the traditional ways of building like face to face, home parties and one on ones but we have so many “new” ways to connect too. Social media is fun and it is NOW! Sites like Facebook, Instagram, LinkedIn and Twitter are just a sample of sites that are based of relationships. 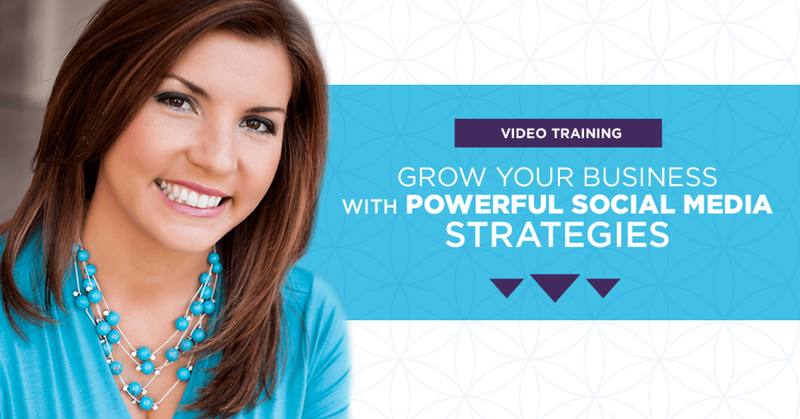 My great friend, and rock star social media marketer Jessica has created a newly updated version of her Social Media training, that is quickly becoming the go-to training for anyone interested in getting better with online marketing. I love this training and have sponsored over 130 people online due to what Jessica taught me. Click here to learn more about this great program! 3. Return on investment: Treat your network marketing business like a real business. You need to maximize your profits. You want to think in terms of profitability. What can you do for less money? Advertising on Facebook can be very cost effective. And you didn’t have to leave your house! That is one reason why so many are turning to online for leads and recruiting, because many of us really do want to build their home based business from home. I love to travel too but working from home productively is key! 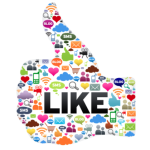 We can never again say we have run out of leads with what social media has to offer. Most of us don’t take our network marketing businesses serious enough. If we had invested $100,000 to start our businesses, I bet that most of us would do a lot more! 4. Value: As a business owner, you get paid for the value you bring to the market. Whatever the value is, THAT is one of the main building blocks of your business. If you want to reduce your frustration and chasing after prospects, you have to increase your value. You’ll see that the people will start contacting you. Try it! You want to put yourself in a position where people get you online and want to come back for more. You don’t have to know everything and you don’t need to fake it. You just need to increase your value organically. How? By educating yourself. Webinars, networking events, books. Take the resources available to you and learn from the leaders that have already achieved your desired results. From there, take what you’ve learned and pass it on to your team members and to those that follow you. Some great ways to share are creating blog posts, or filming a video on what you just learned. The saying is “Invest, Teach and Earn”. The more you invest in yourself, the more you learn, the more you can teach. Another saying is “your business will grow as you do”. 5. Know your value and embrace it: Sometimes it is easy for us to think small. Sometimes we just don’t realize what we have to offer. It is what holds us back from making videos. From creating our own look and brand. From going on FB Live…. We need to understand and appreciate how valuable the knowledge we have is. Our story, our journey and what we learn along the way will help other people and they do want to hear from you! As your value increases, your brand will begin to establish itself. A) People must trust and have confidence in you because your brand is about how others feel about YOU! B) Be true to who you are! There is only ONE you. Share your voice! 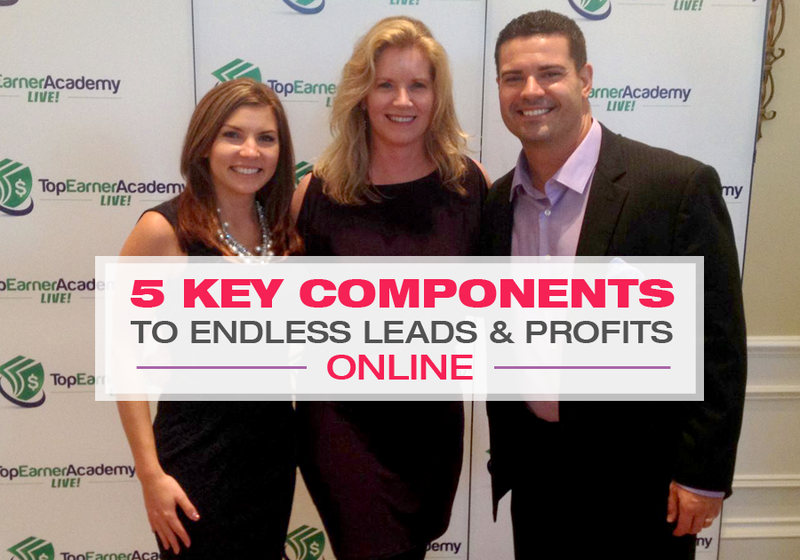 These tips for endless leads and profits are now yours to share with your team! I hope that they can help you build your business. Do you have a tip you want to share? Post it in the comments below! P.S. I hope my endless leads and profits article was helpful to you. 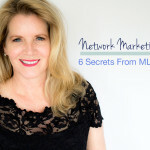 If you liked this blog post, I think you will love my blog post on Network Marketing Tip: 6 Secrets from MLM Pros. 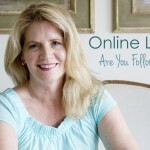 Online Leads: Are You Following Up?